Let's see, where was I? 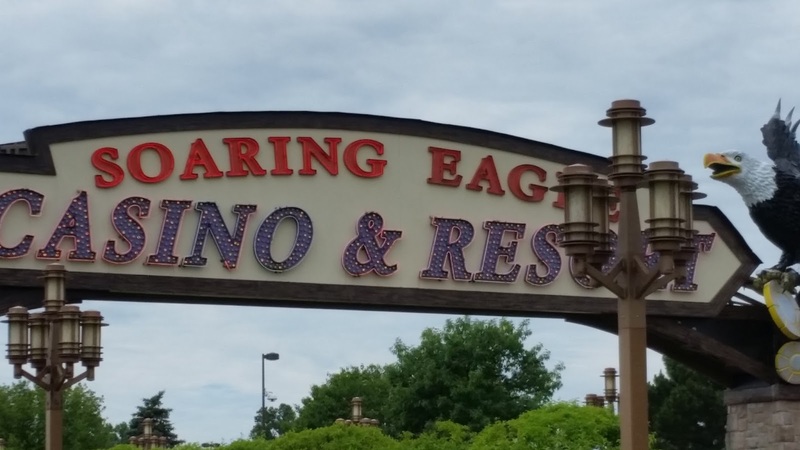 Oh yeah, I left Midland and stayed a night at the Soaring Eagle Casino in Mt. Pleasant. They got rid of my favorite blackjack machines so I didn't stay. From Mt. 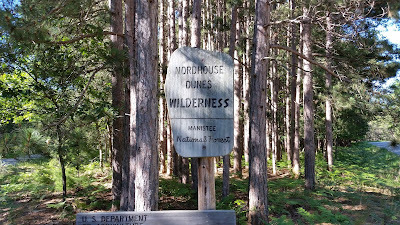 Pleasant I continued west until I got back to one of my favorite boondocking locations in Michigan, the Manistee National Forest in the Lake Michigan Recreation Area which I reviewed here: Manistee National Forest Review . 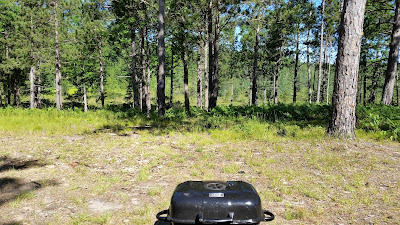 Grill's eye view from my Manistee NF campsite. 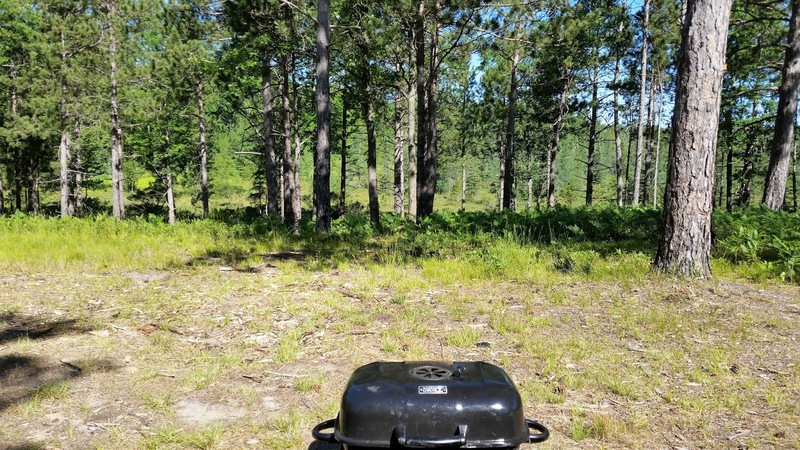 I had such a perfect campsite I stayed for eight days and only left because I ate all my food. From the National forest I stayed a night at a campground in Lake City before heading up to Charlevoix where some of my college buddies were renting condos. 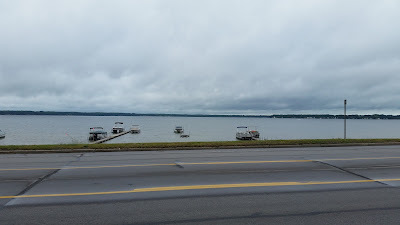 The lake that gives Lake City it's name. 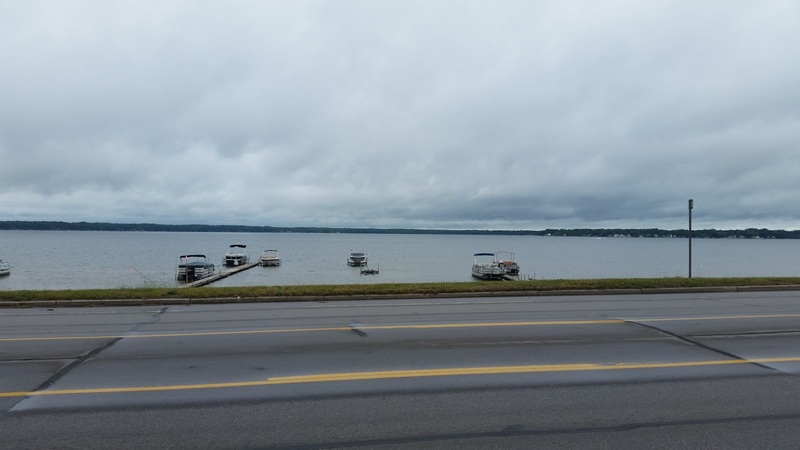 The first night with them I stayed at a condo at the Charlevoix Country Club. 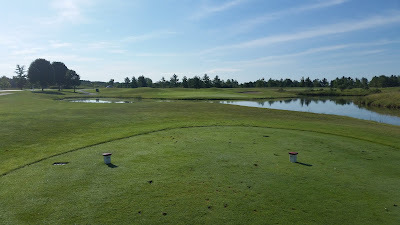 I didn't get to golf it but the course looked like green carpet. From the country club we moved a few miles closer to Charlevoix. The weather was just perfect. 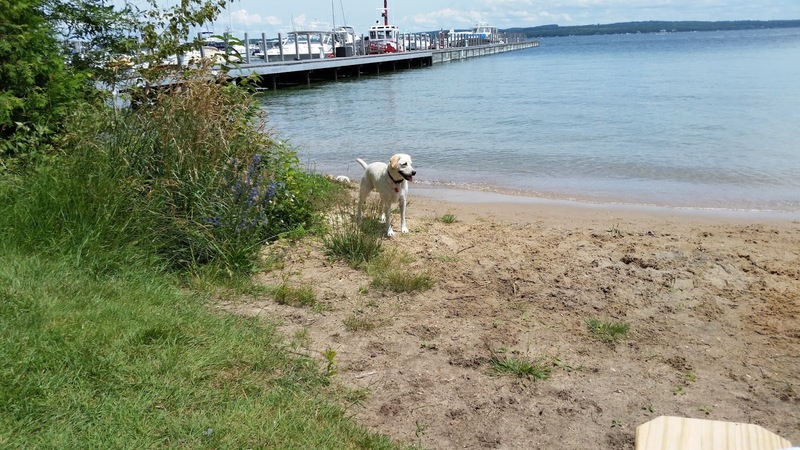 My friend Scott's Lab Nya, waiting for someone to toss her ball in the lake. And I guess that gets things to about the middle of July so you're pretty much current with my activities and travels (almost).